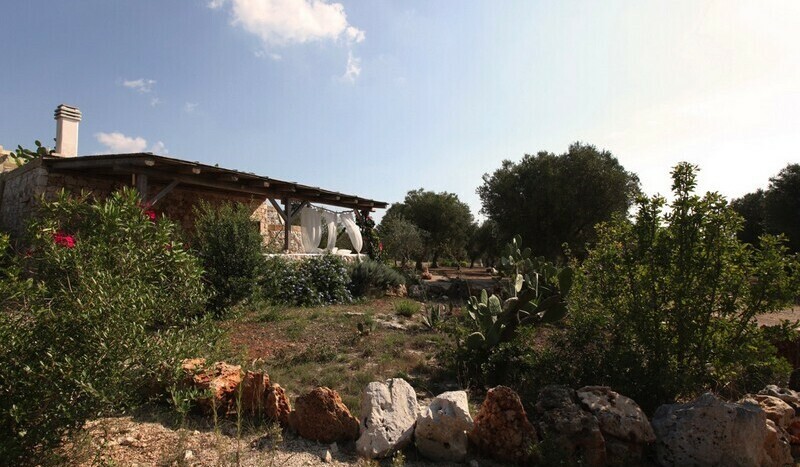 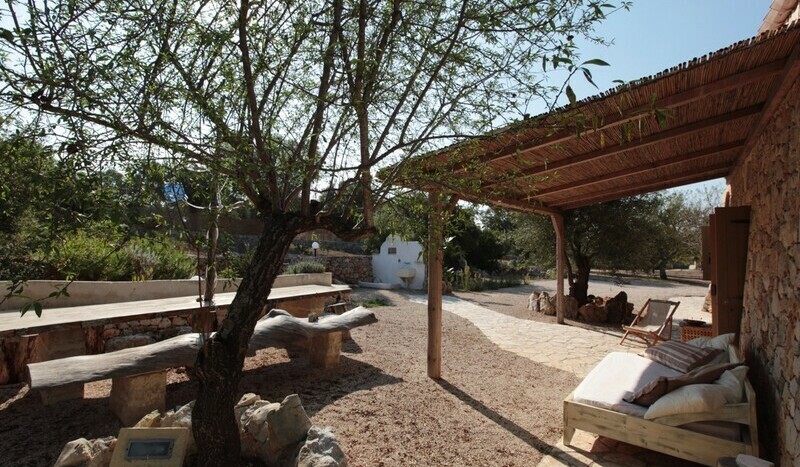 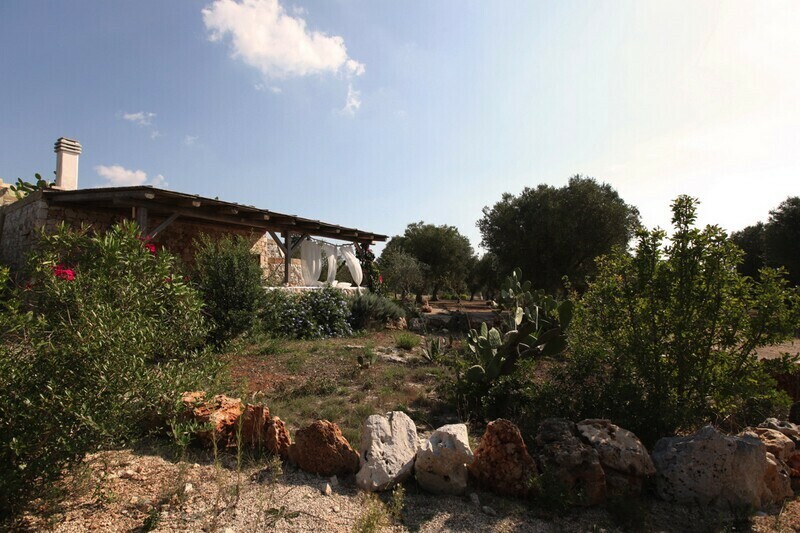 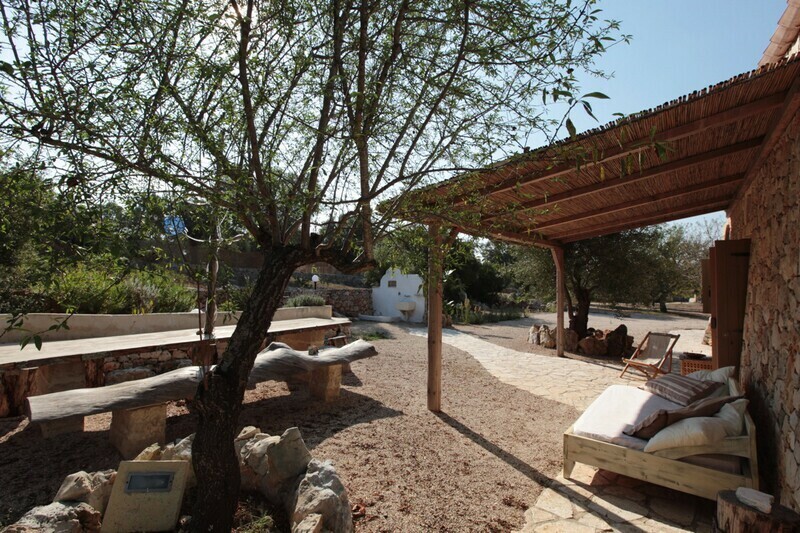 In the heart of Salento this beautiful countryside is waiting for you, with two accommodations, one 60 and the other one 110 square meters wide, swimming pool and all the comforts you’re looking for, from Wi-Fi to yoga lessons and kitchen on demand. 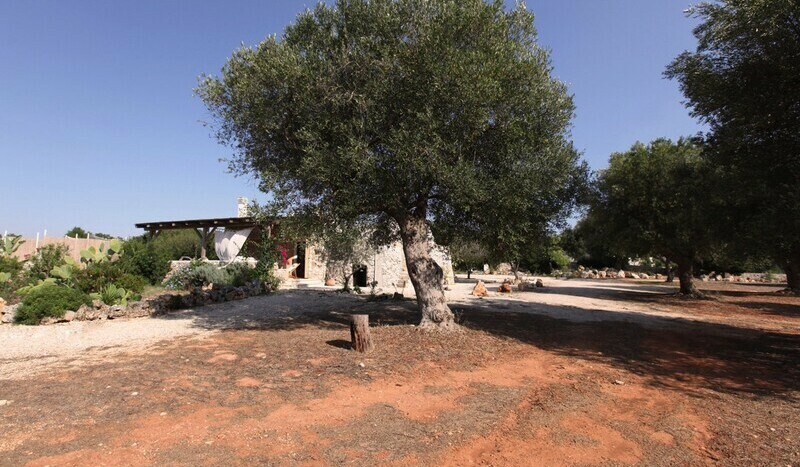 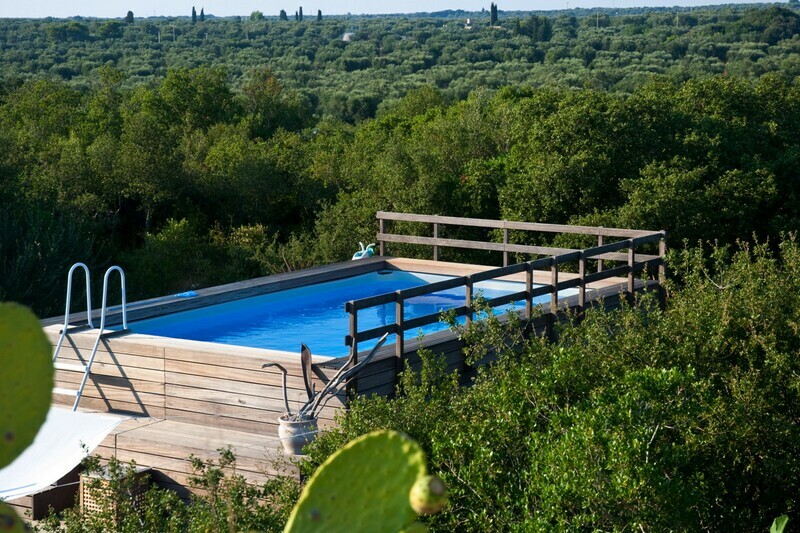 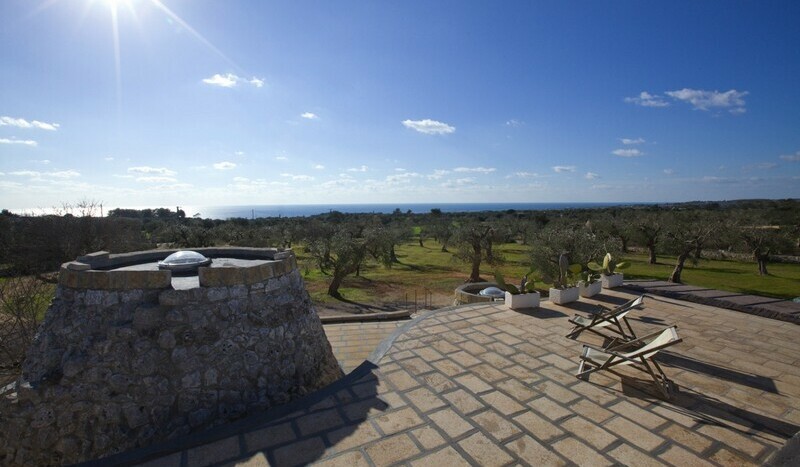 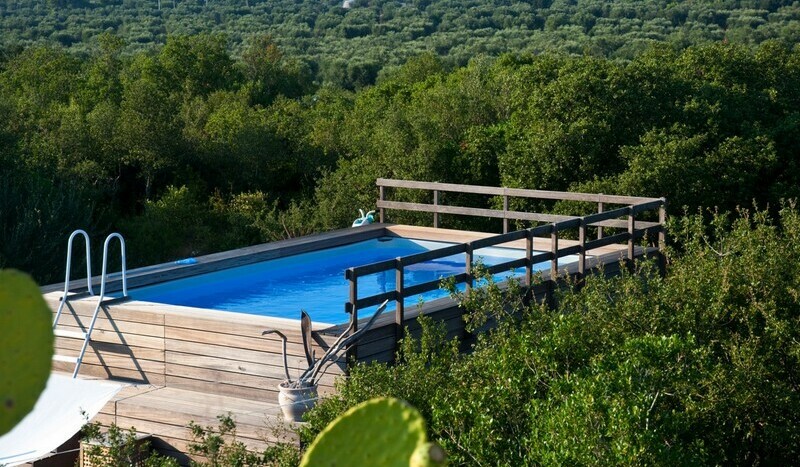 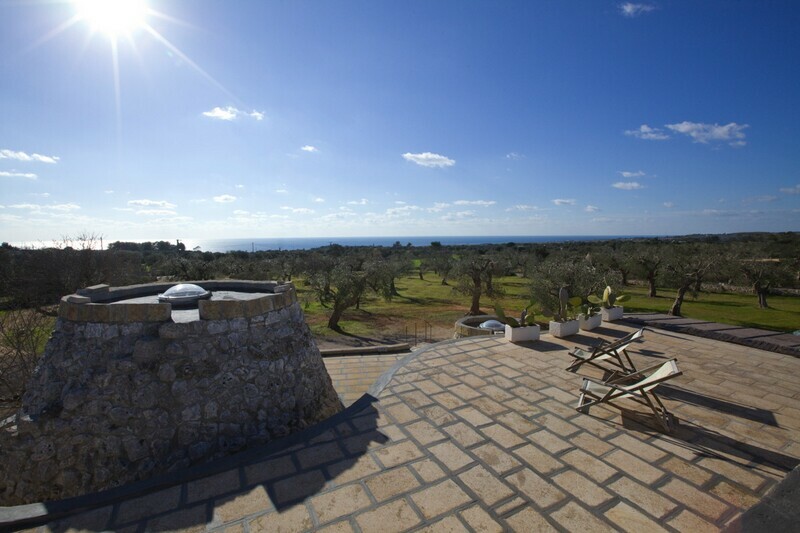 Right in the middle of the stunning landscape of the Salento area lies this 15000-square-meter estate surrounded by olive trees and just a few meters far from the wonderful beaches and cliffs of Leuca. 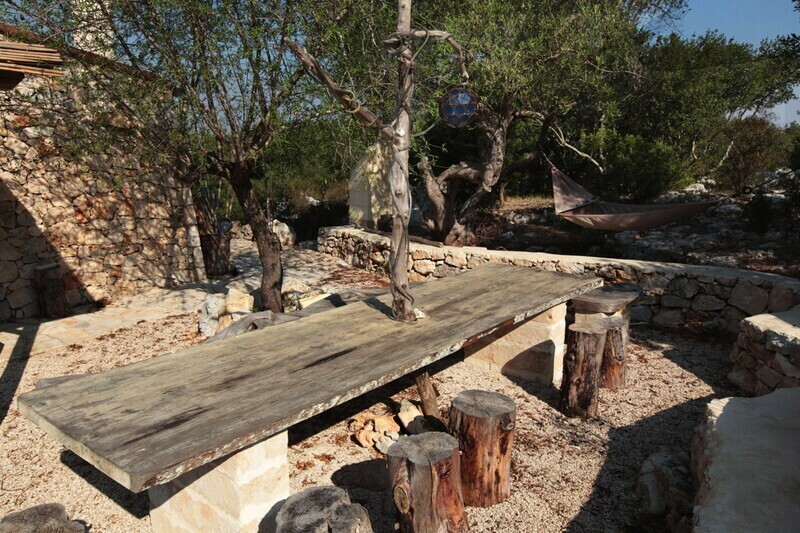 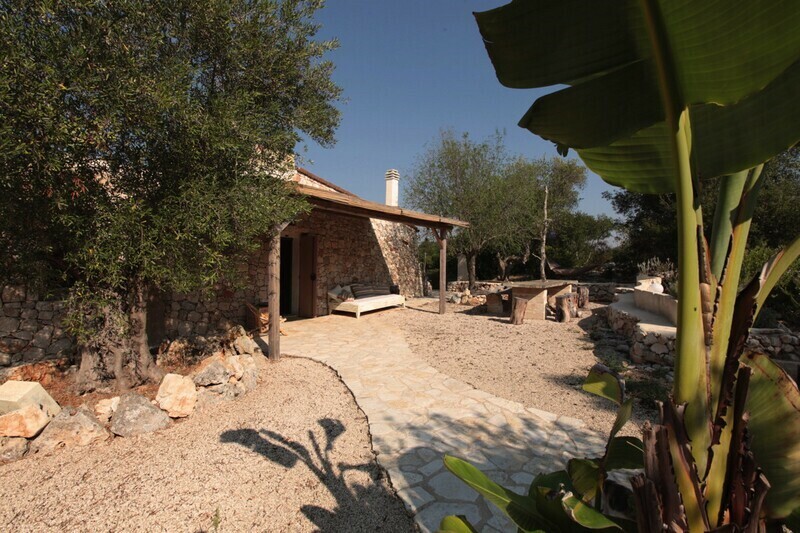 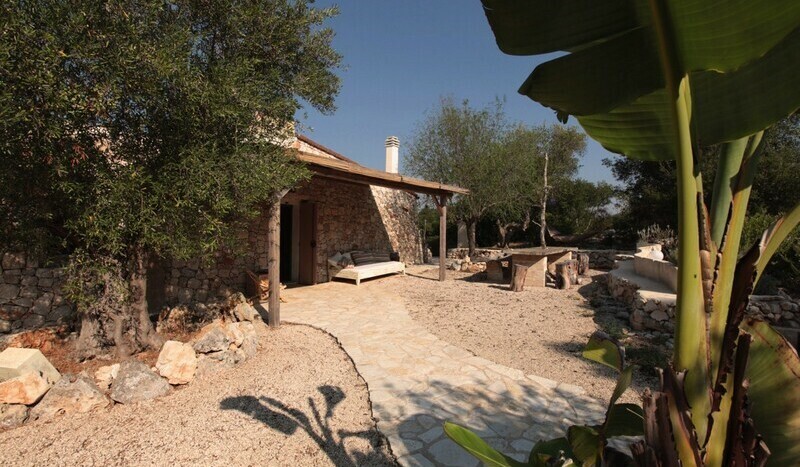 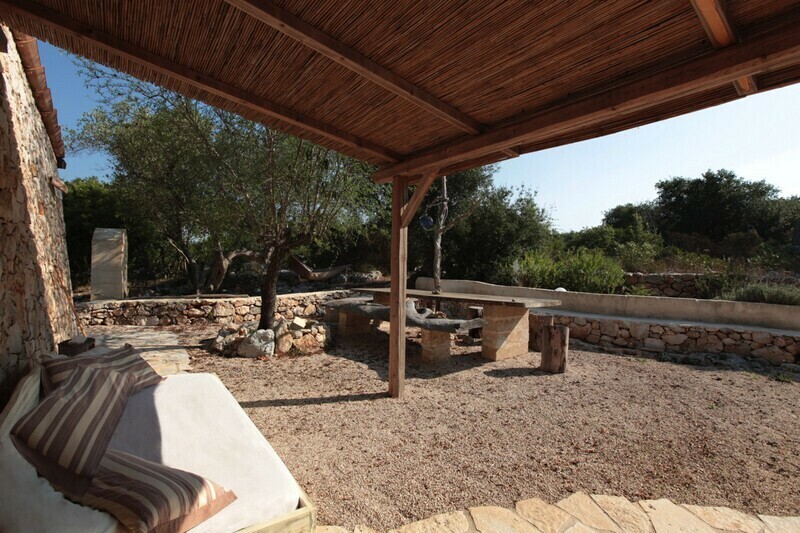 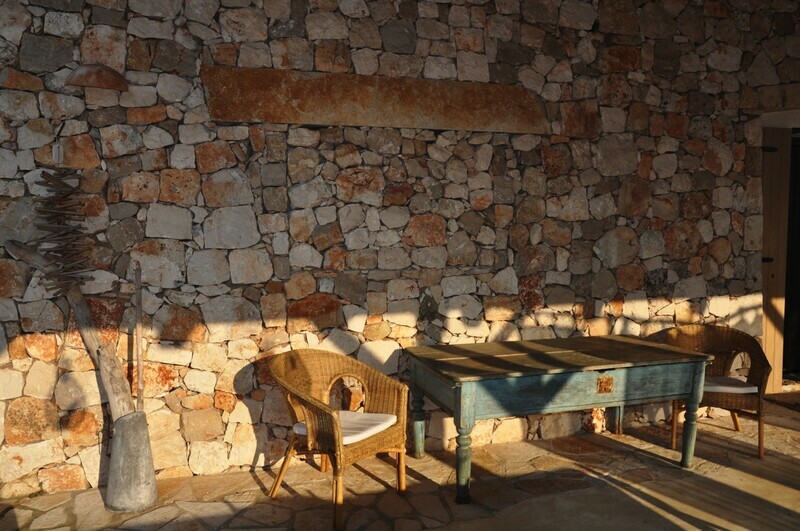 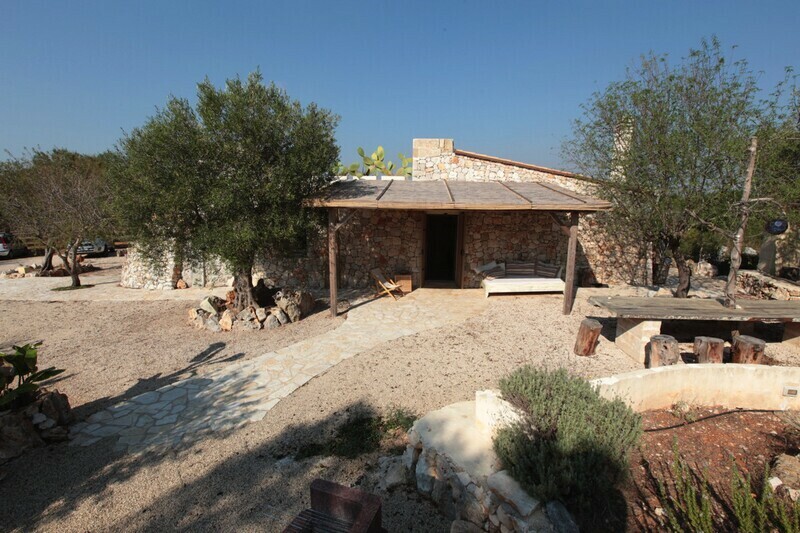 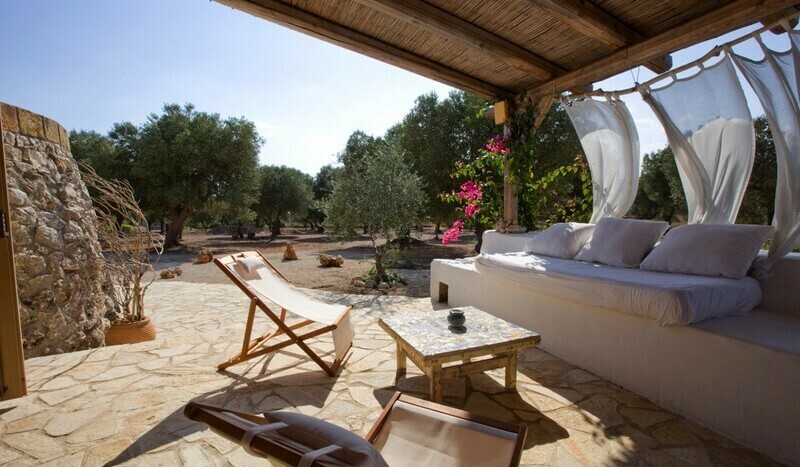 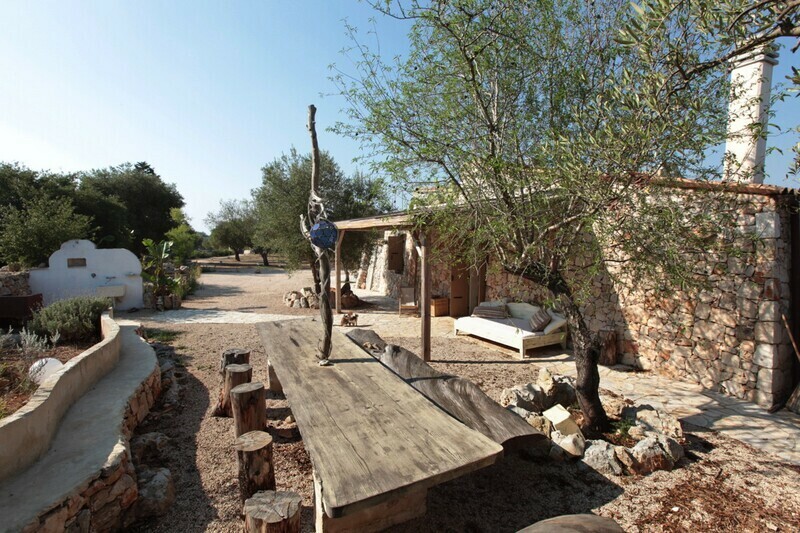 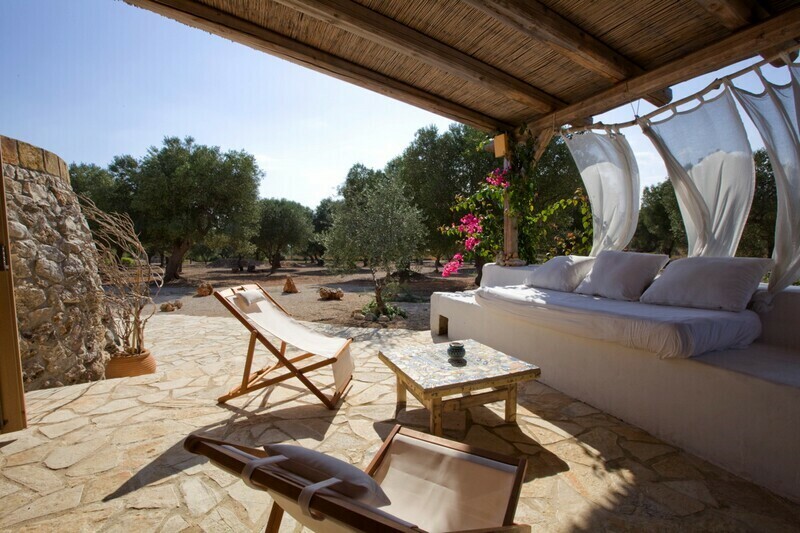 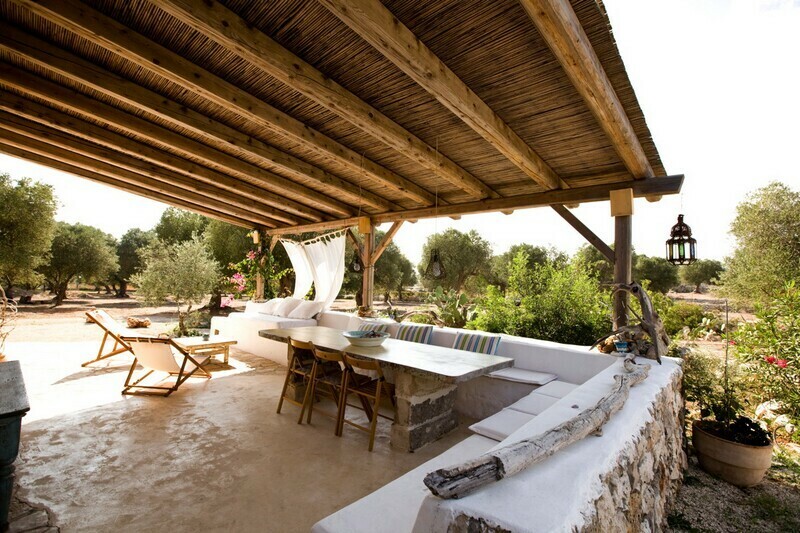 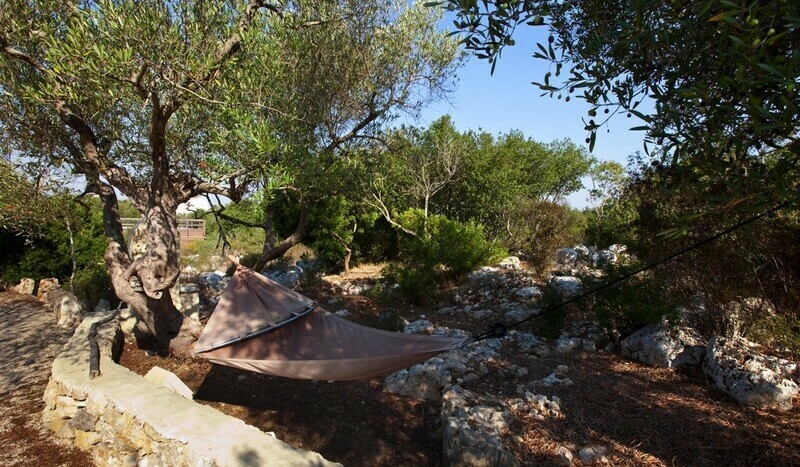 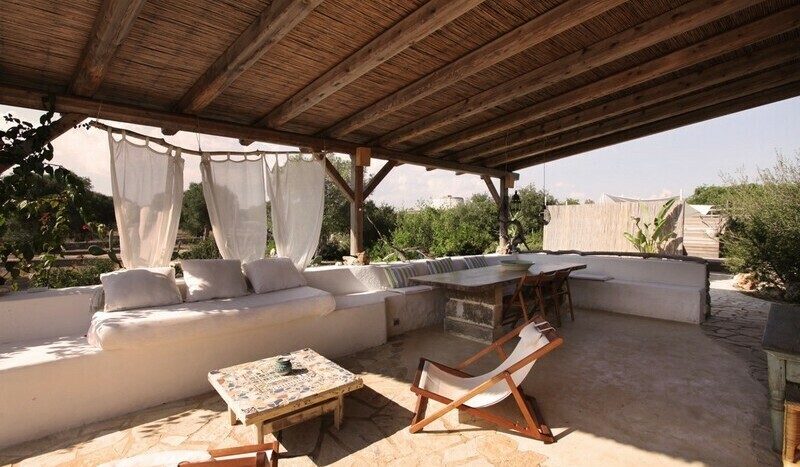 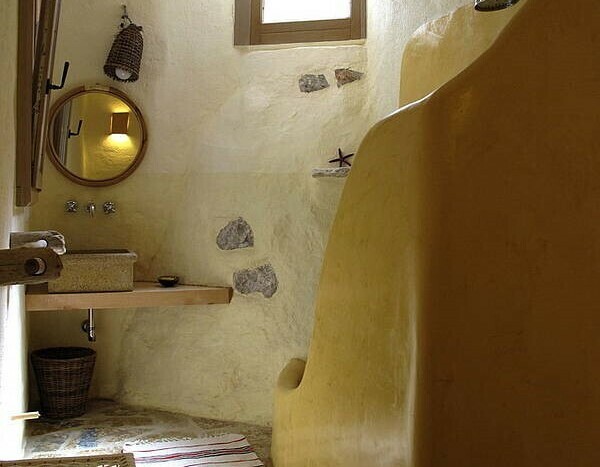 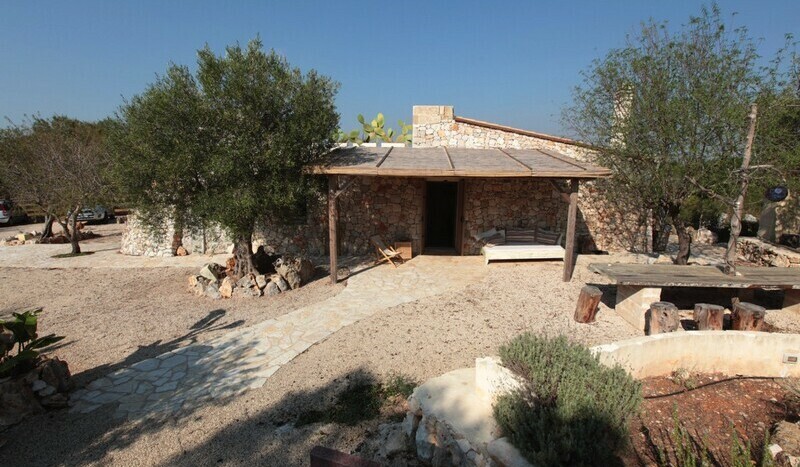 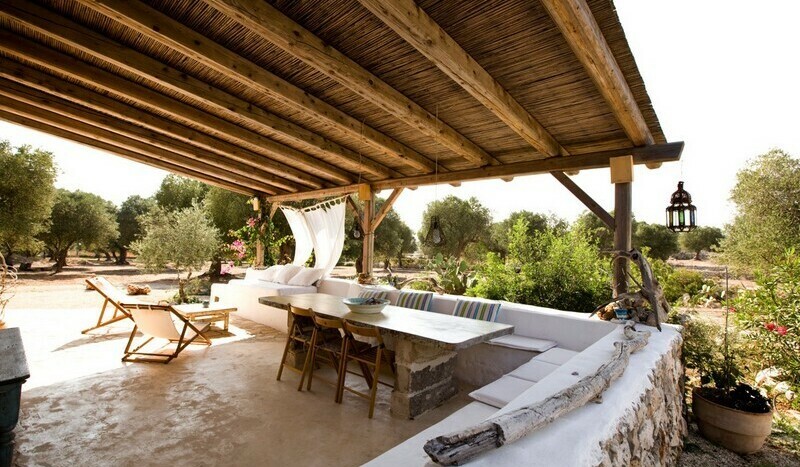 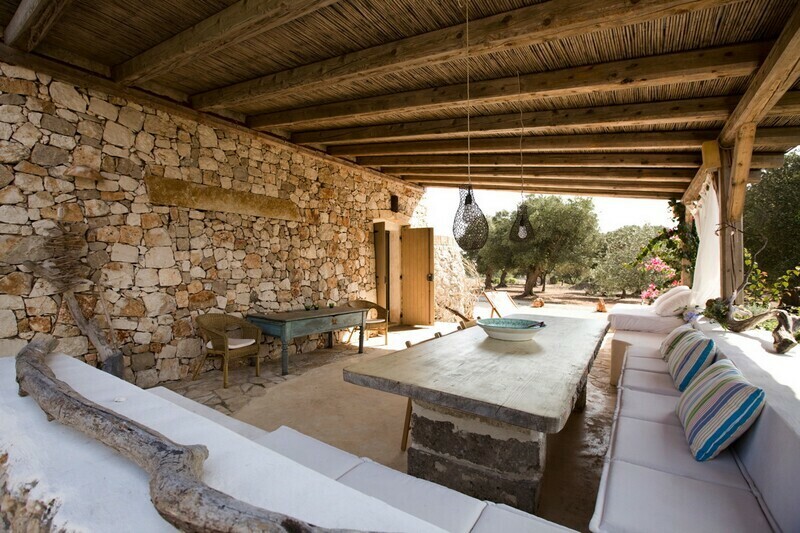 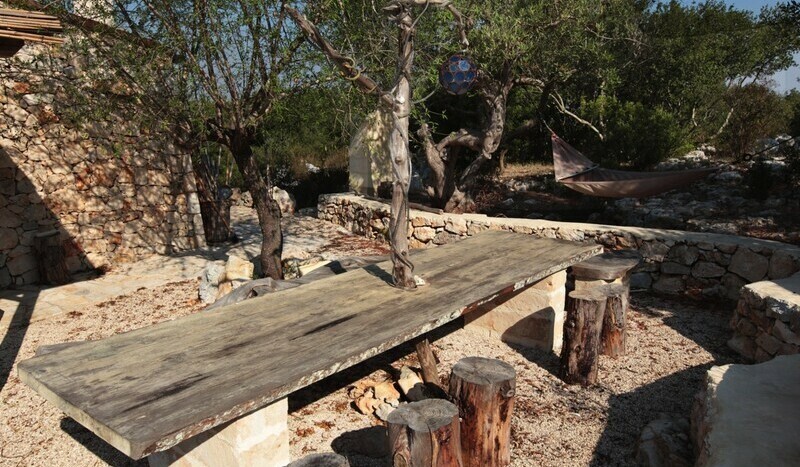 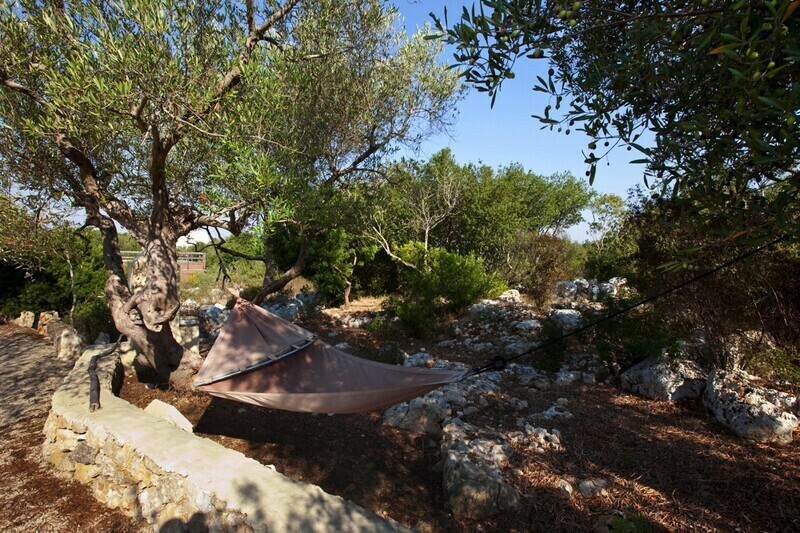 Two recently restored 300-year-old “pajare” huts, under the shade of ancient trees, welcome guests within a peaceful and quiet location, with a delightful view over the crystal-clear Ionian Sea. 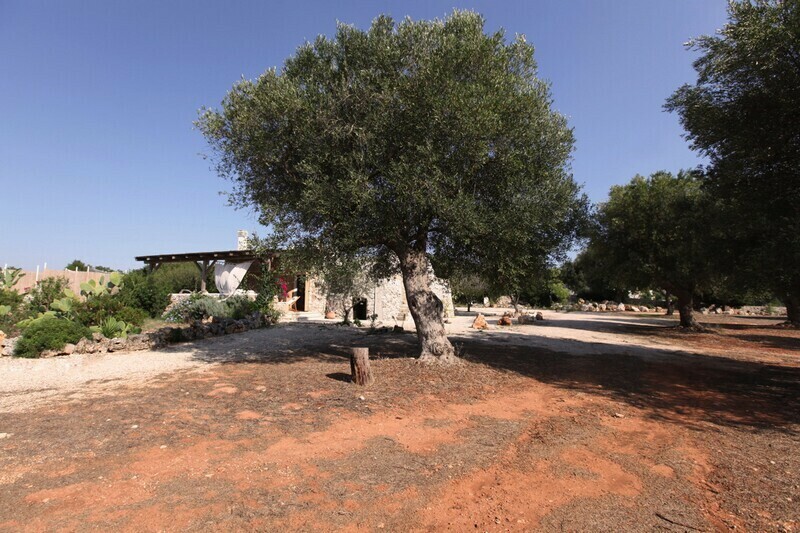 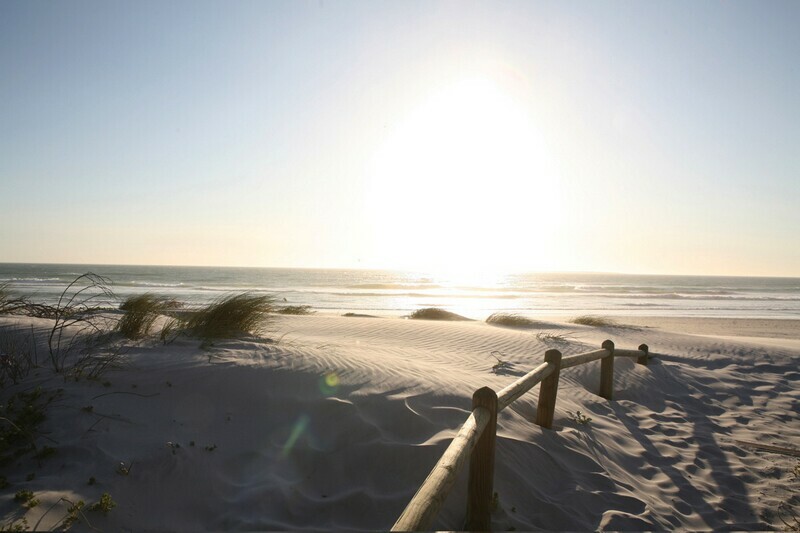 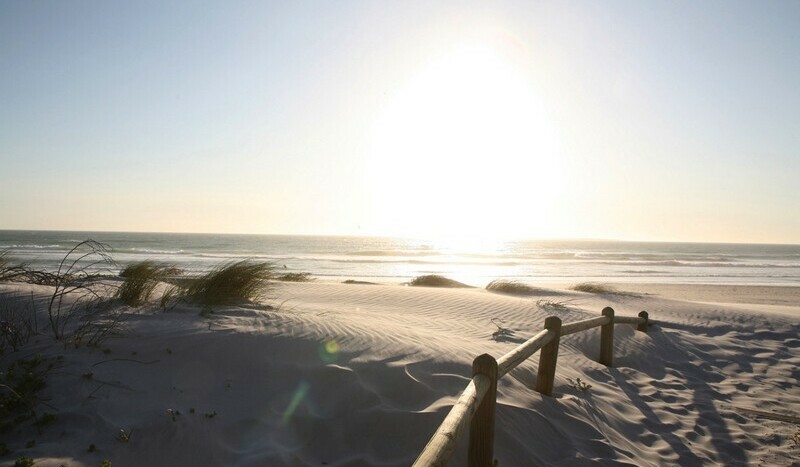 The two accommodations are completely autonomous, with separate private access: they can be rented together if you are with a large group, or individually. 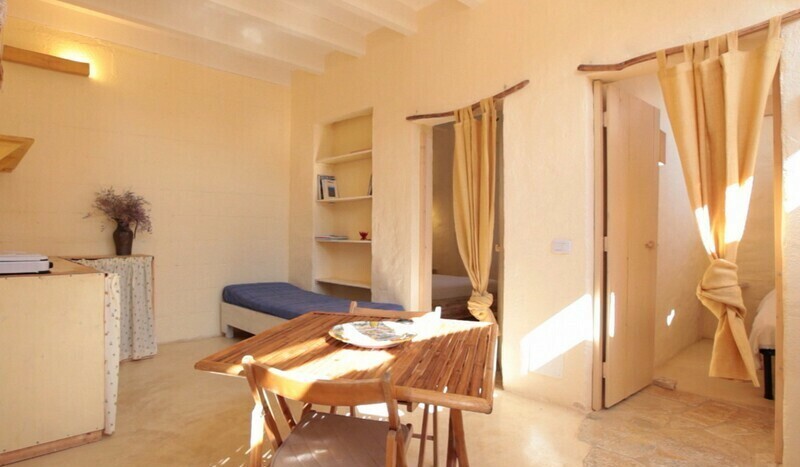 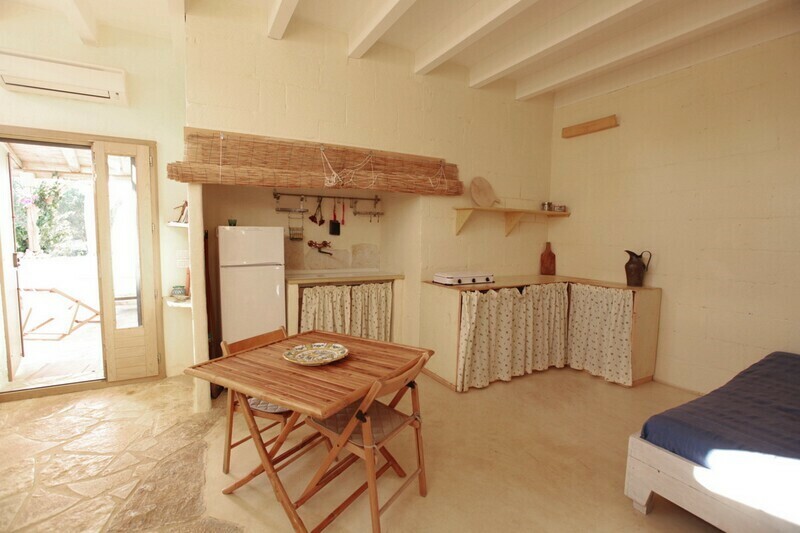 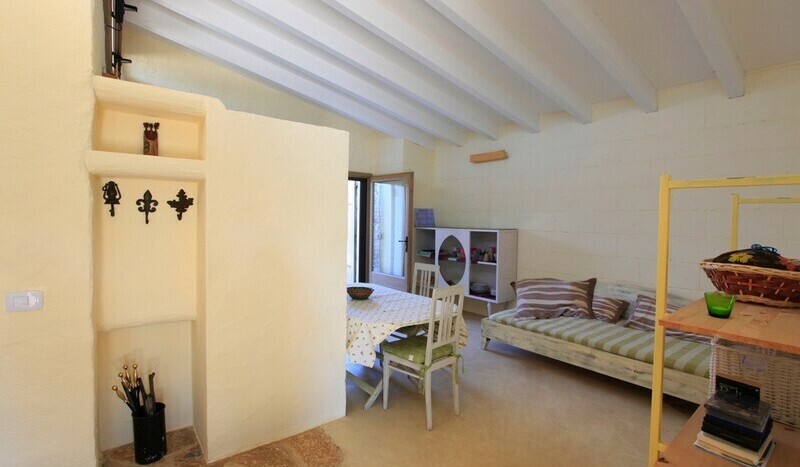 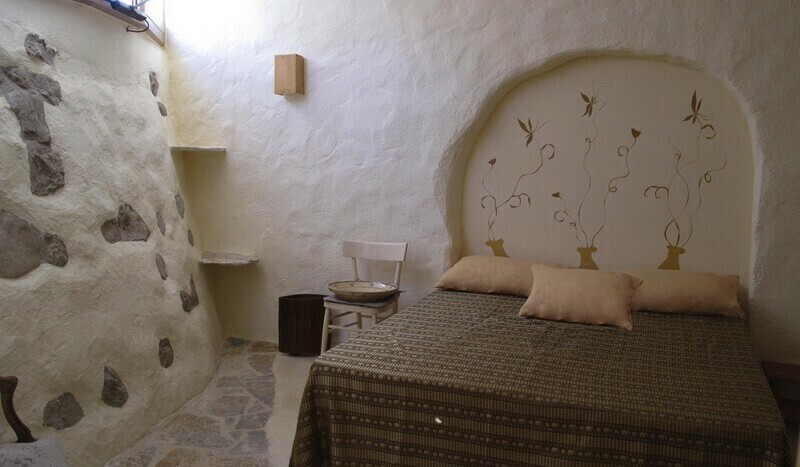 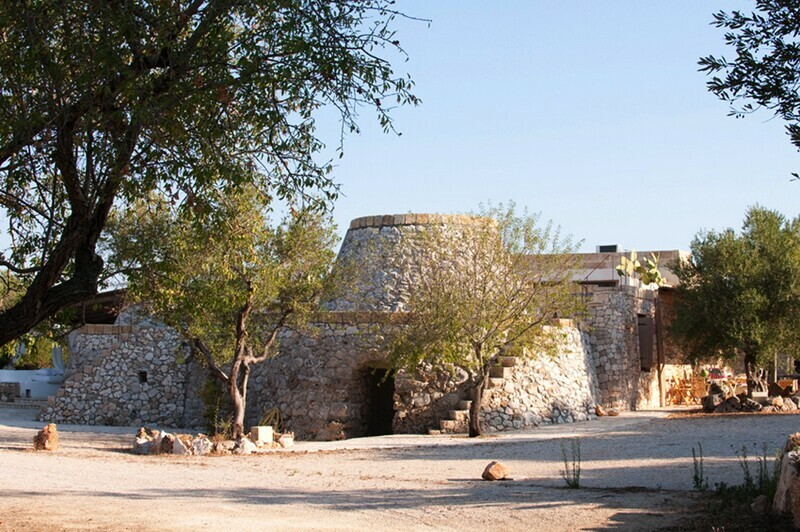 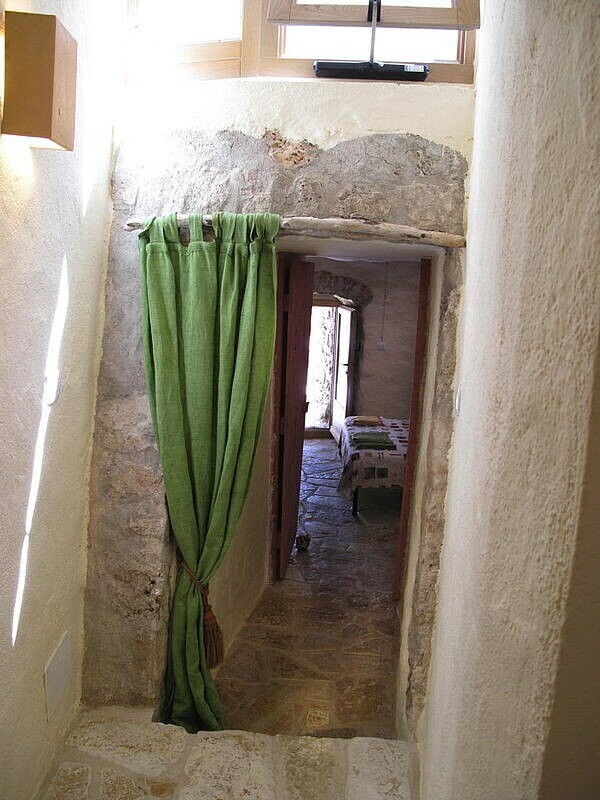 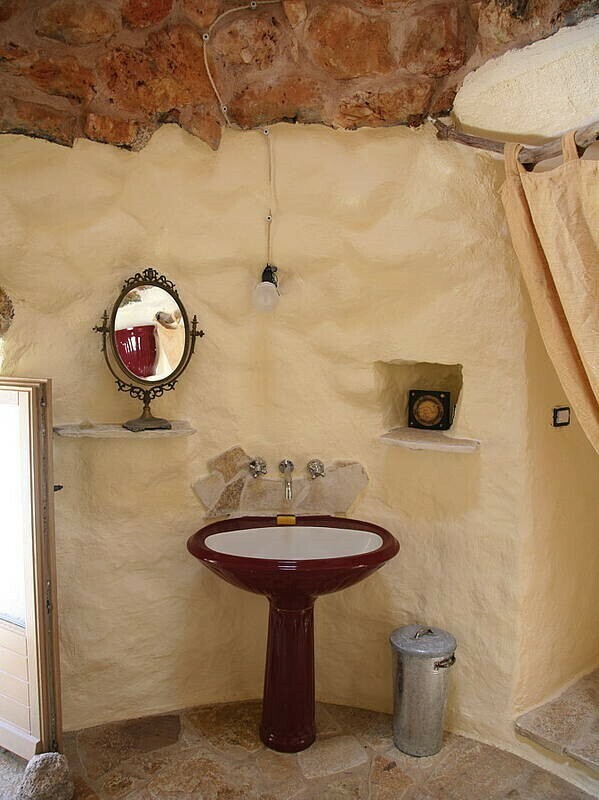 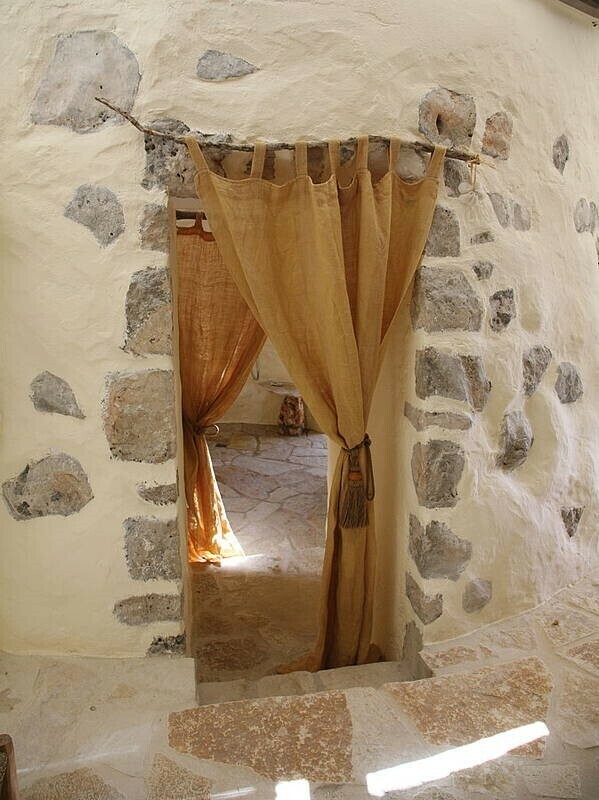 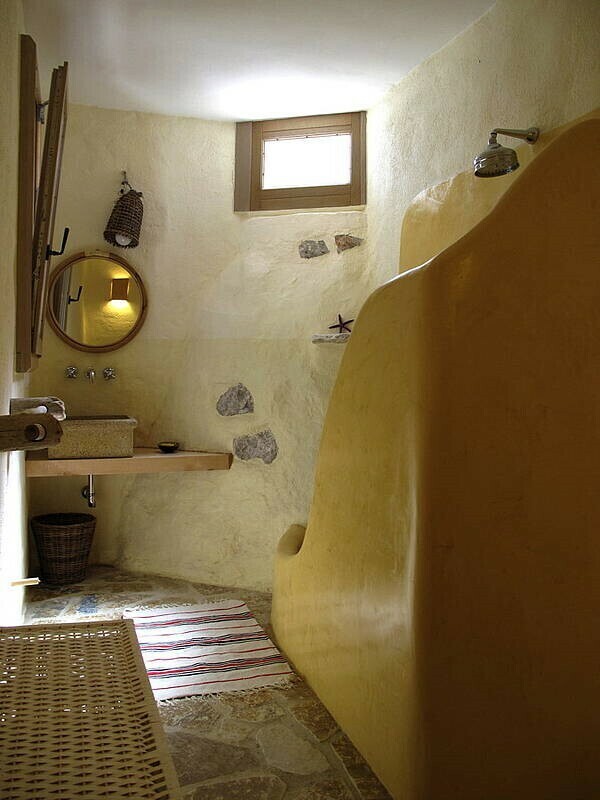 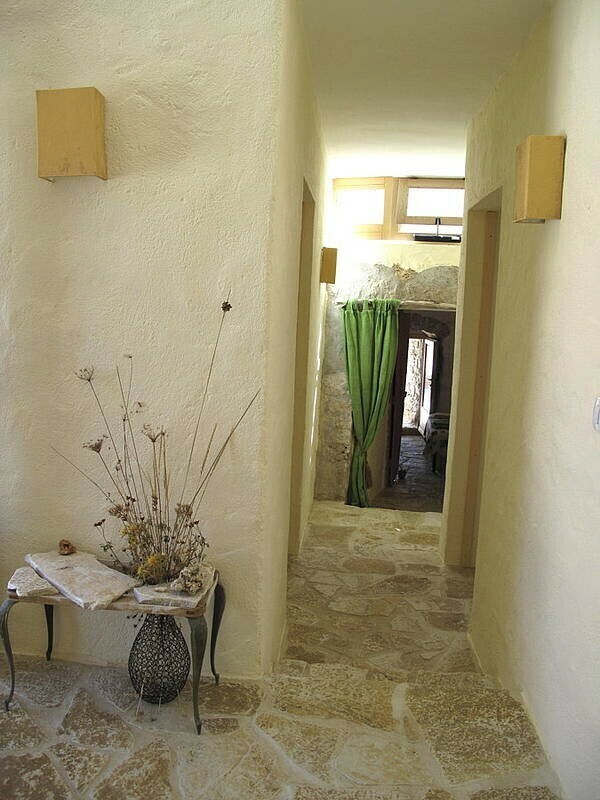 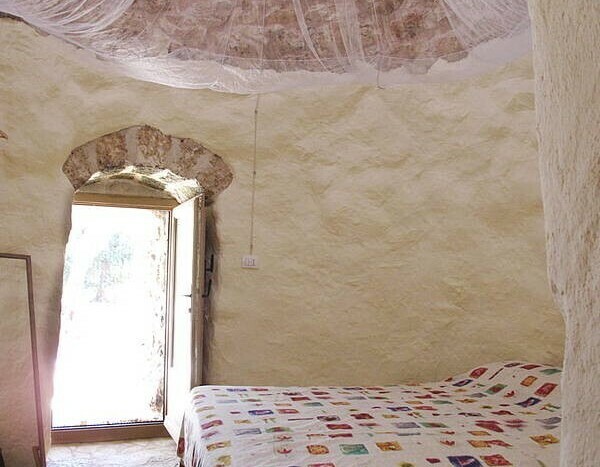 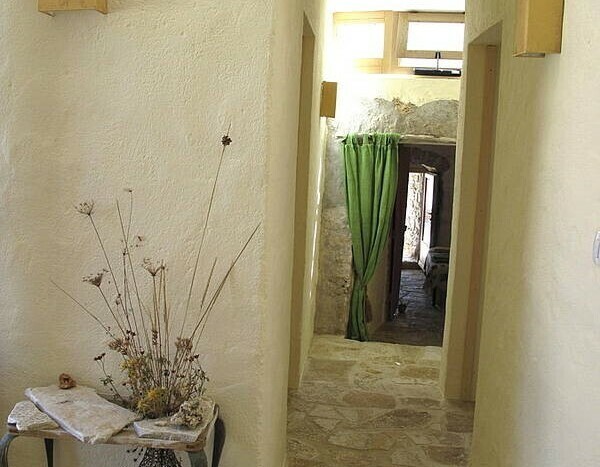 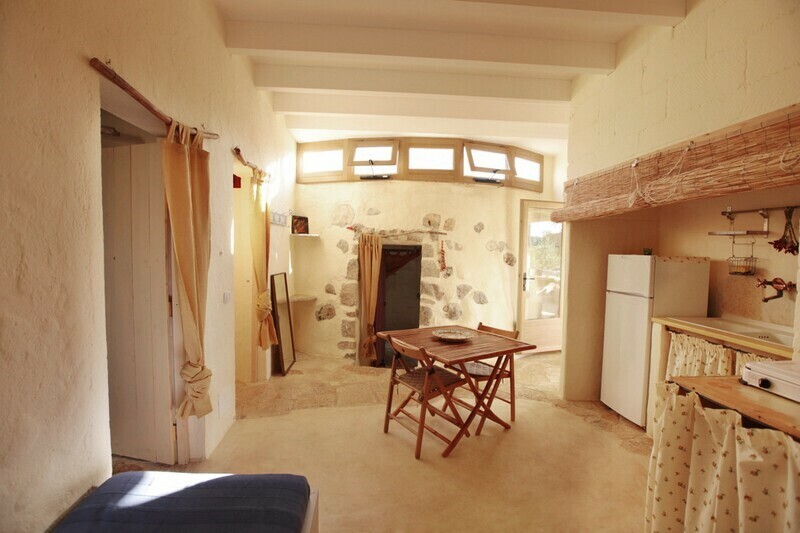 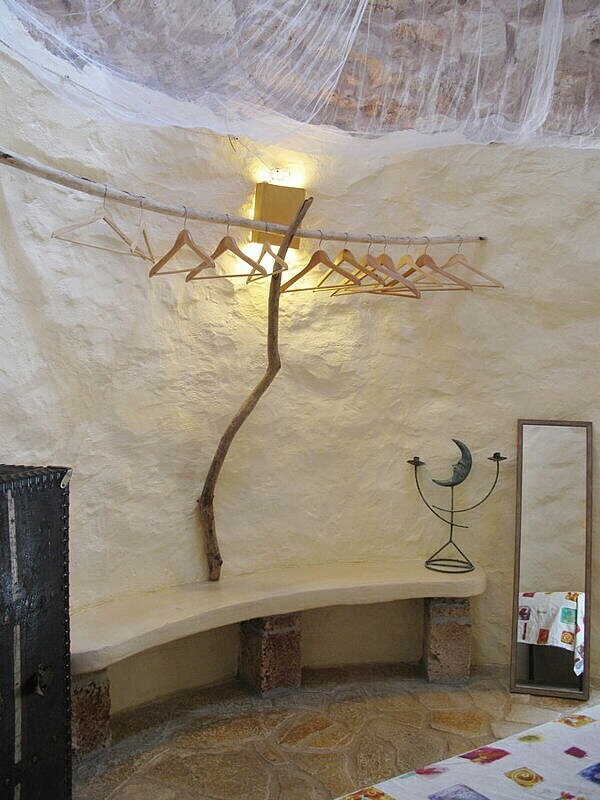 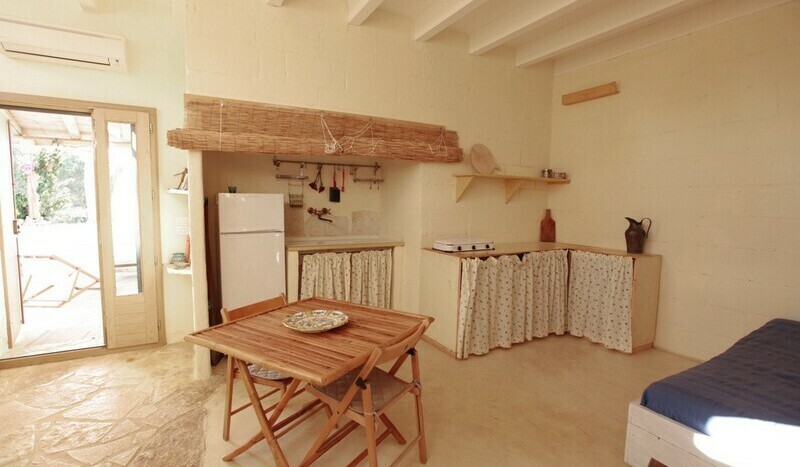 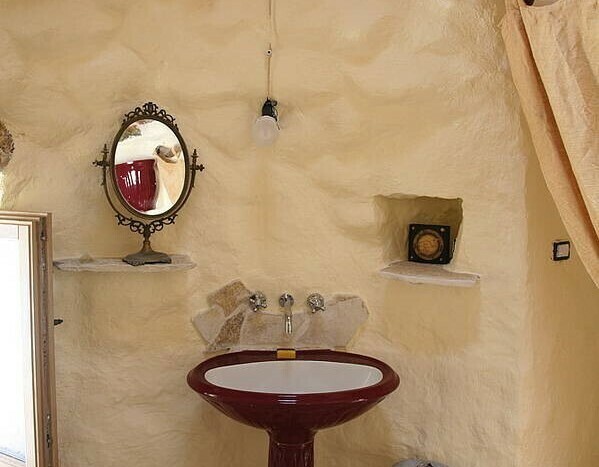 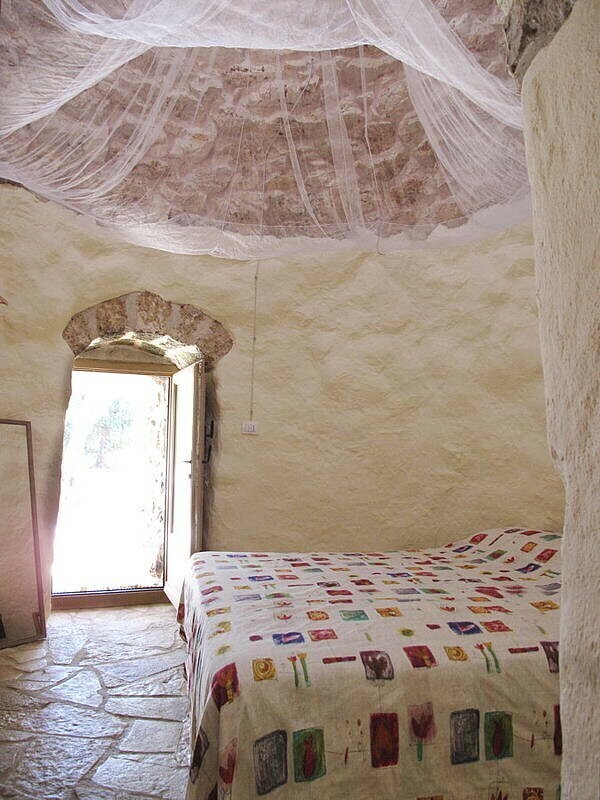 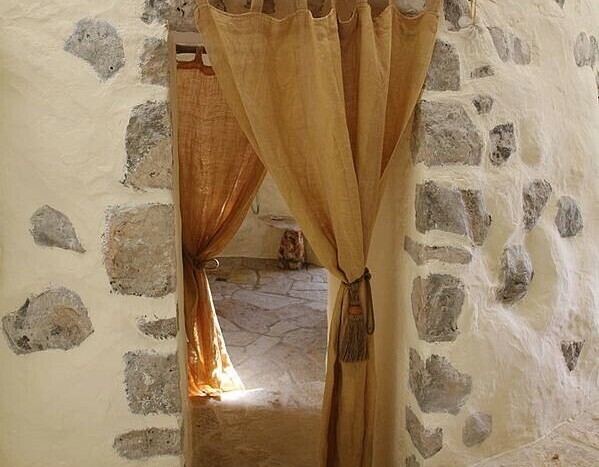 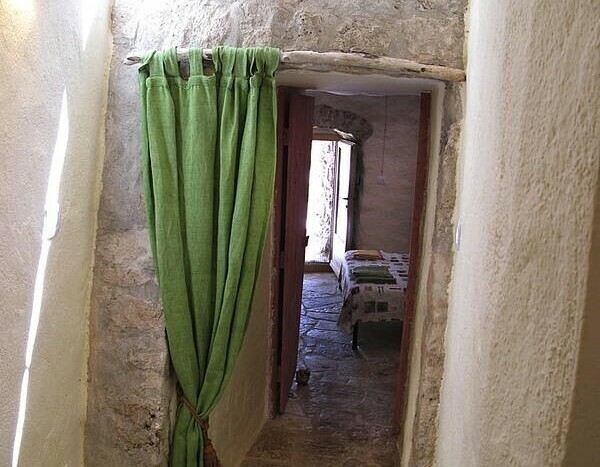 The smaller accommodation, Pajara Small, is about 60 square meters large and has a cozy and comfortable living room (with extra bed) with a kitchen corner, two double bedrooms and a typical bathroom with the traditional circular plan that belonged to the ancient “pajara”. 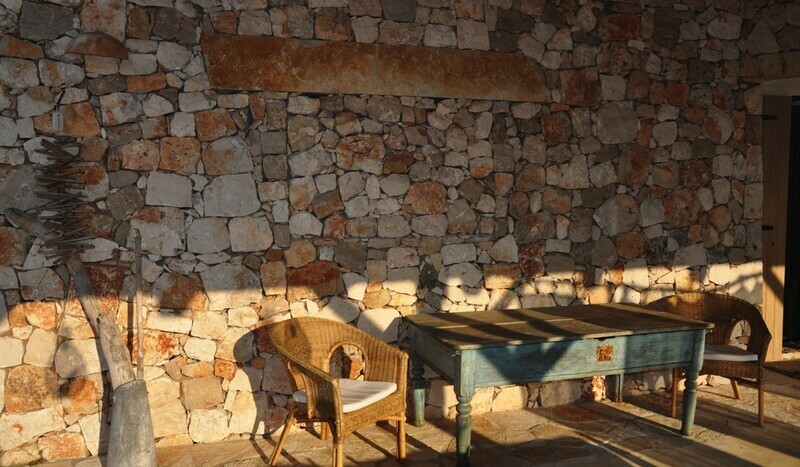 A big patio will be perfect for chilling outside and enjoying the pleasant atmosphere while sitting on one of the elegant benches, or while having dinner on the large table that can accommodate up to 10 guests. 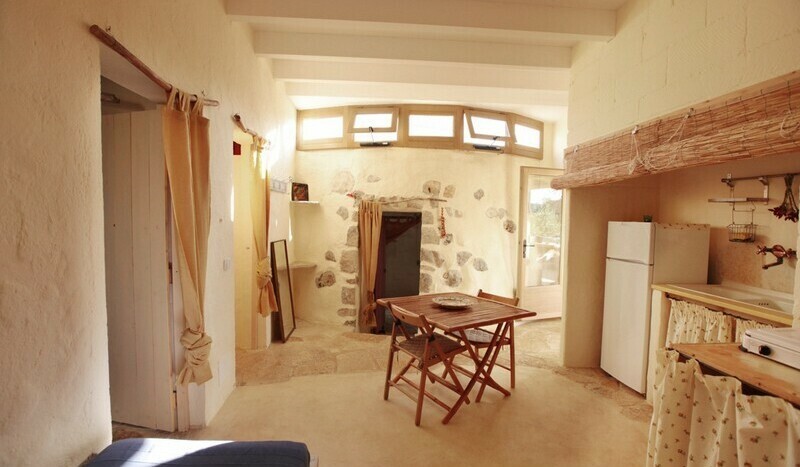 The larger accommodation, Pajara Big, is about 110 square meters wide: its large living room has an extra bed, and a pretty fully-equipped kitchen. 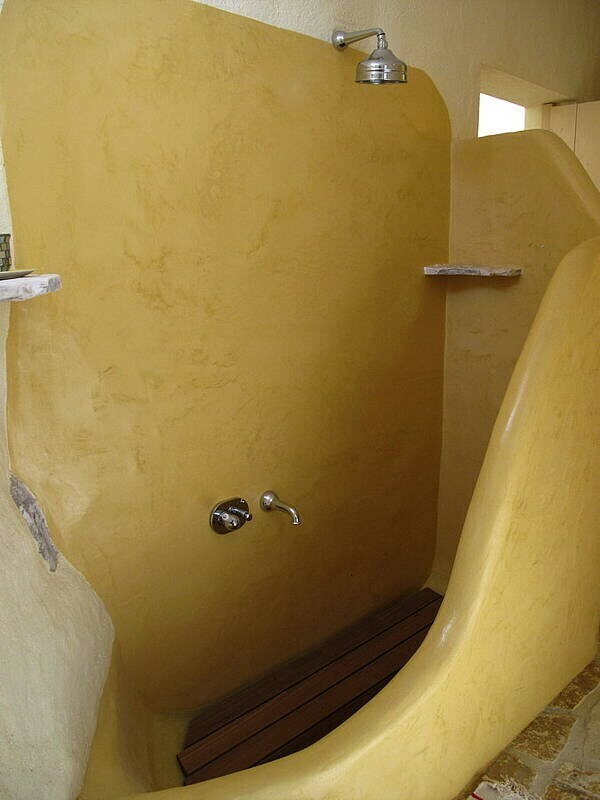 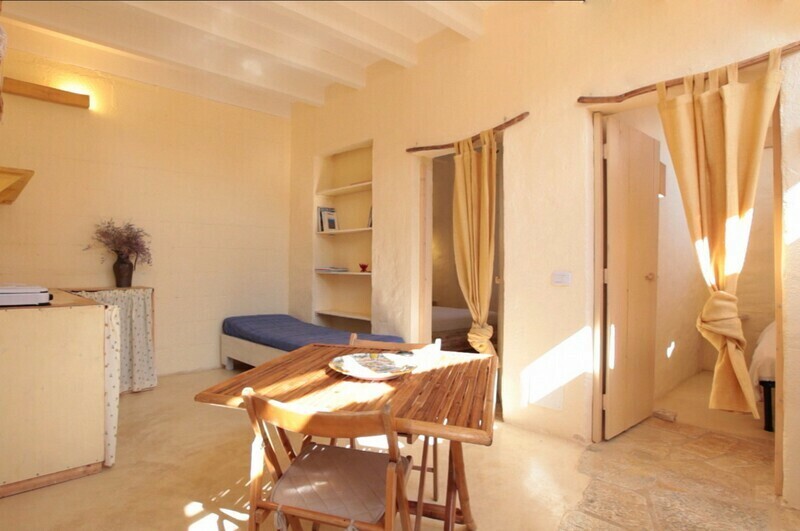 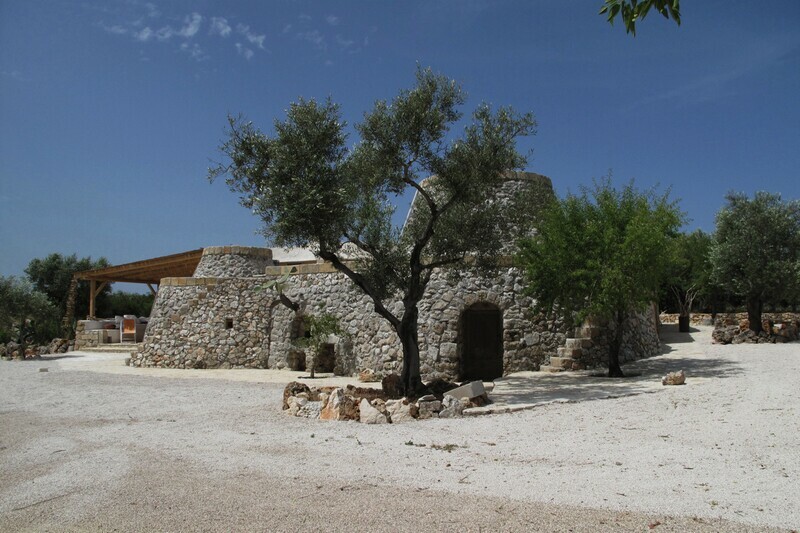 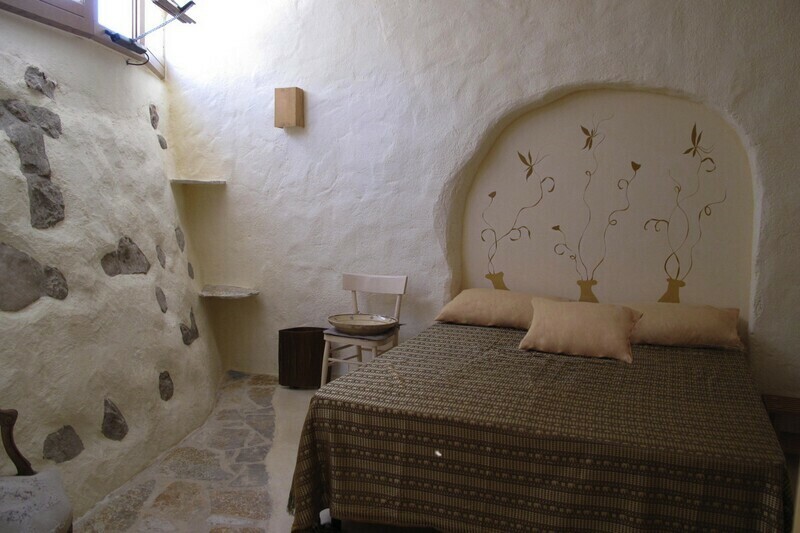 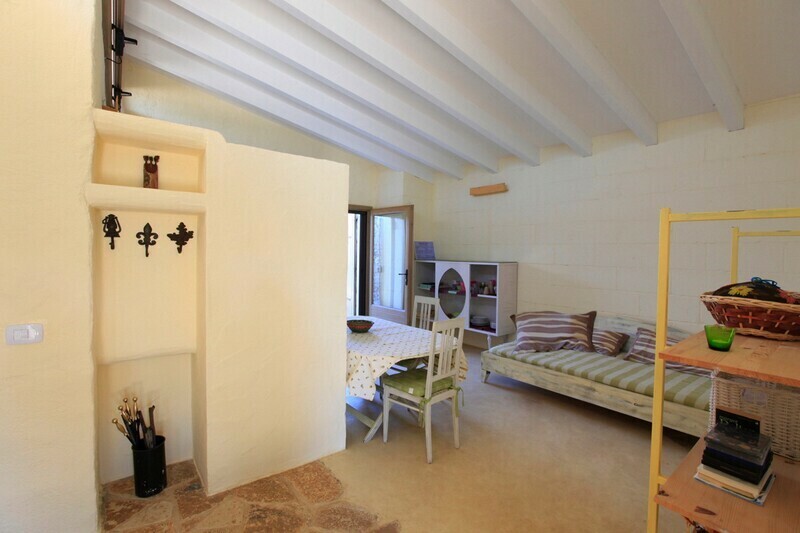 The house has two bedrooms and a bathroom – one of the bedrooms has the typical “pagliara” circular plan with high roof: a very exclusive accommodation indeed! 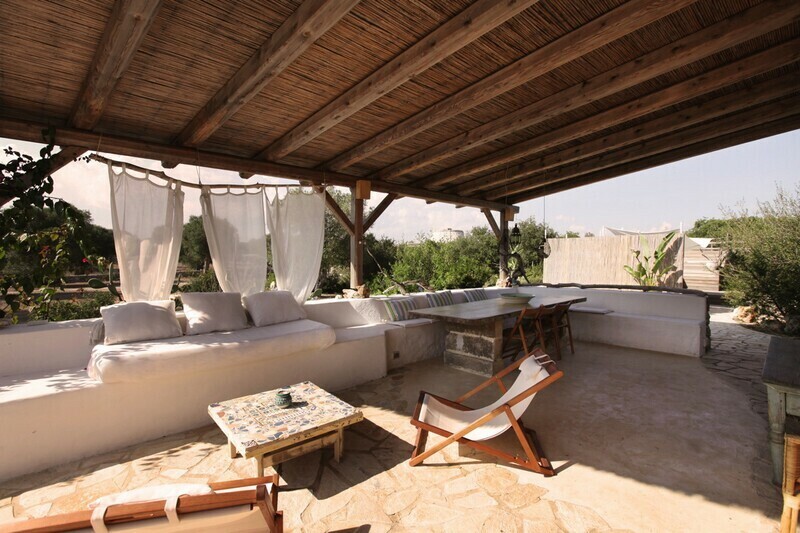 The patio outside Pajara Big is equipped with comfortable couches and a large table for up to 12 guests. 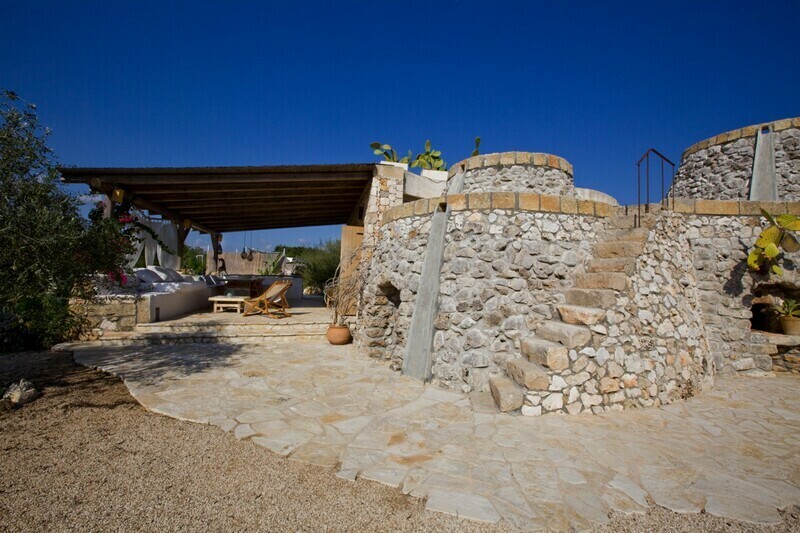 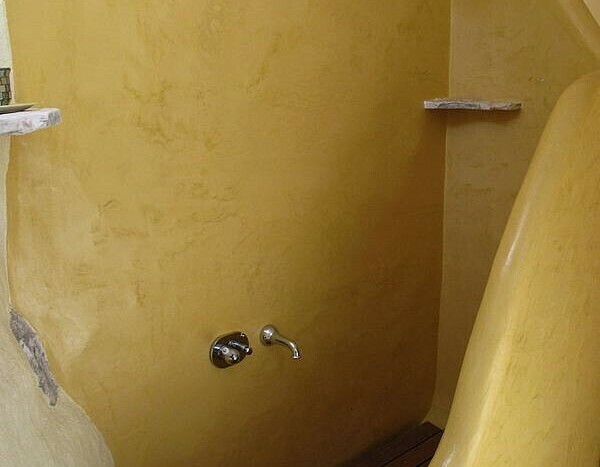 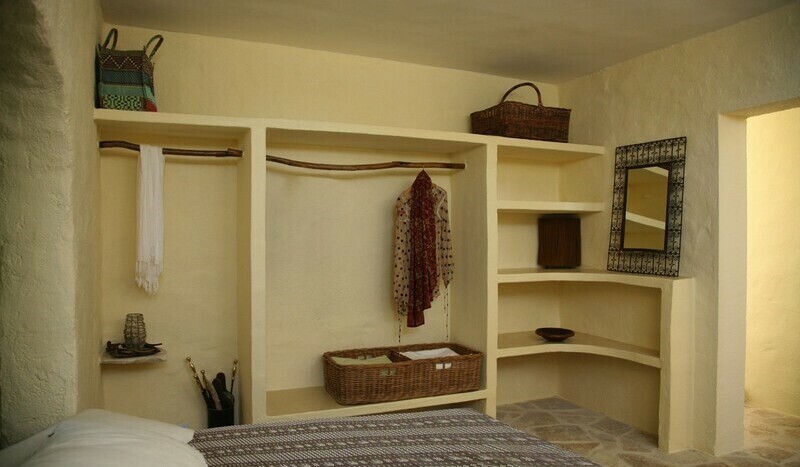 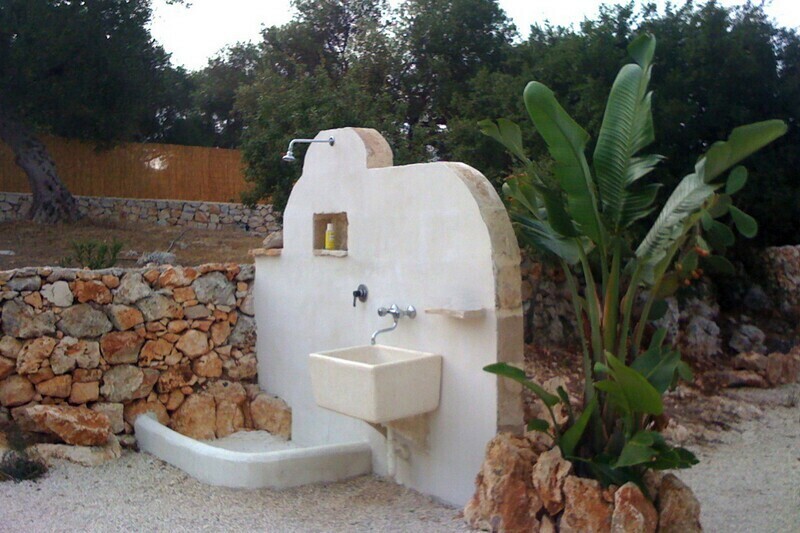 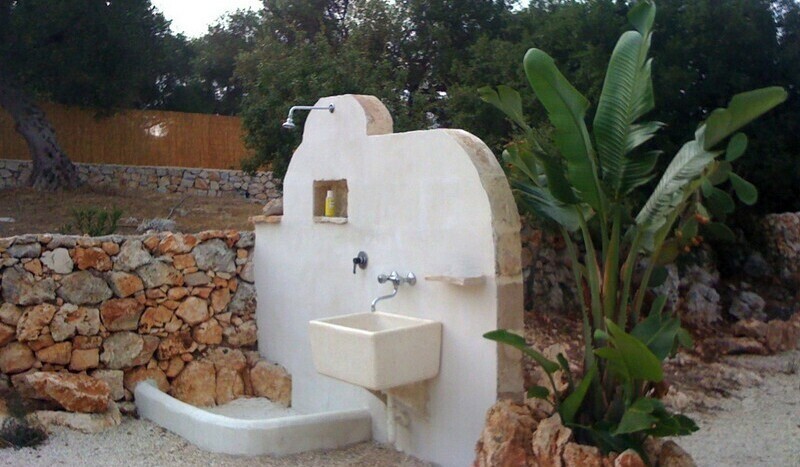 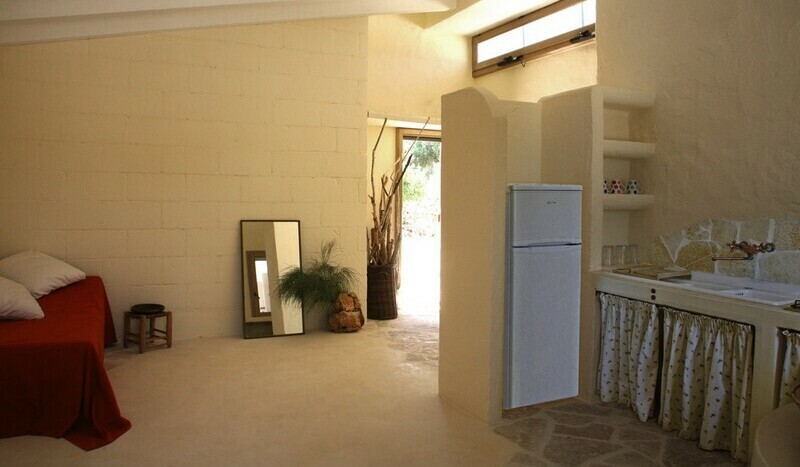 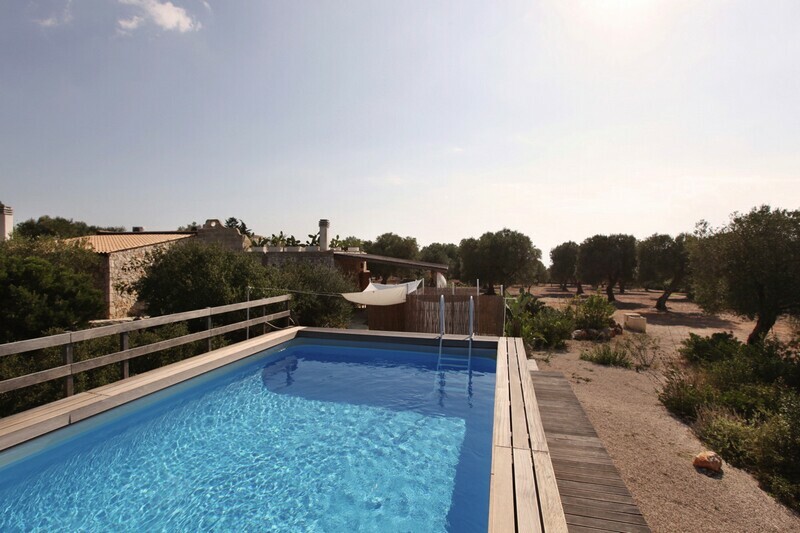 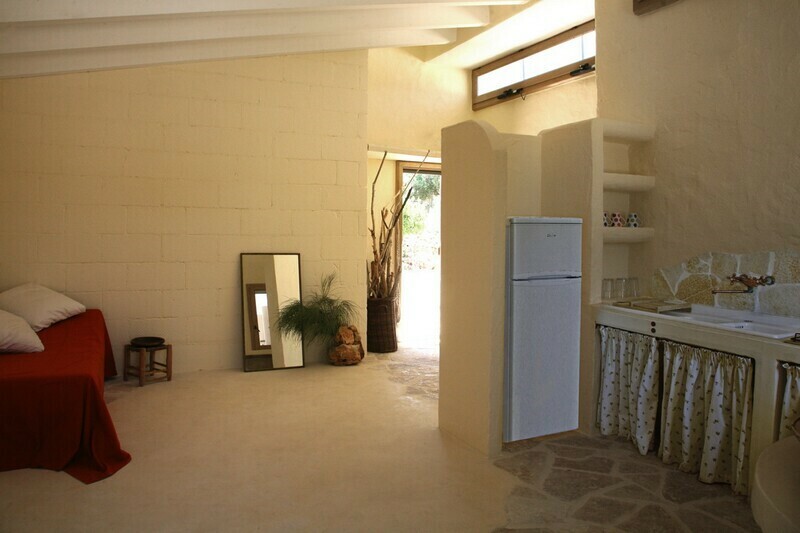 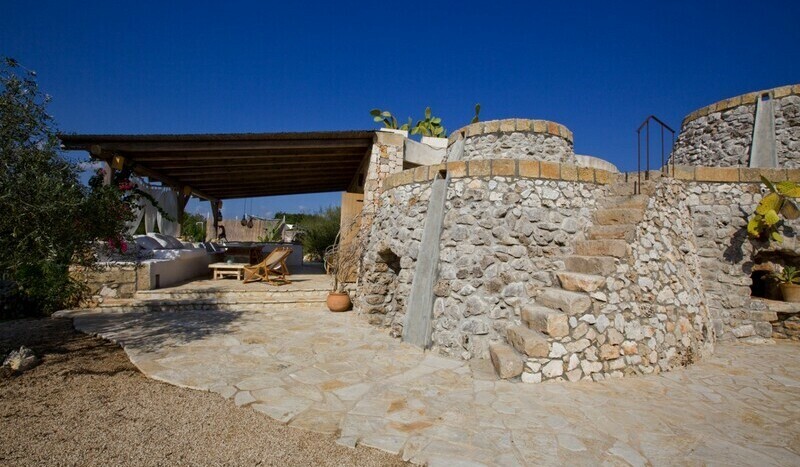 The guests of Villa Pajara have access to the swimming pool with solarium, as well as to the free WI-FI. 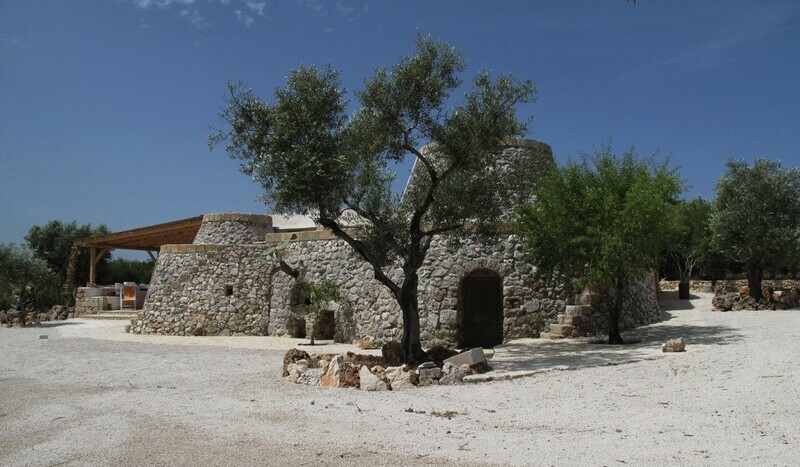 The beautiful area of Salento is a land of ancient legends and mirages, studded with almond trees and olive groves and characterized by the charming atmosphere of its music, arts, tradition and the world-famous hospitality of its people. 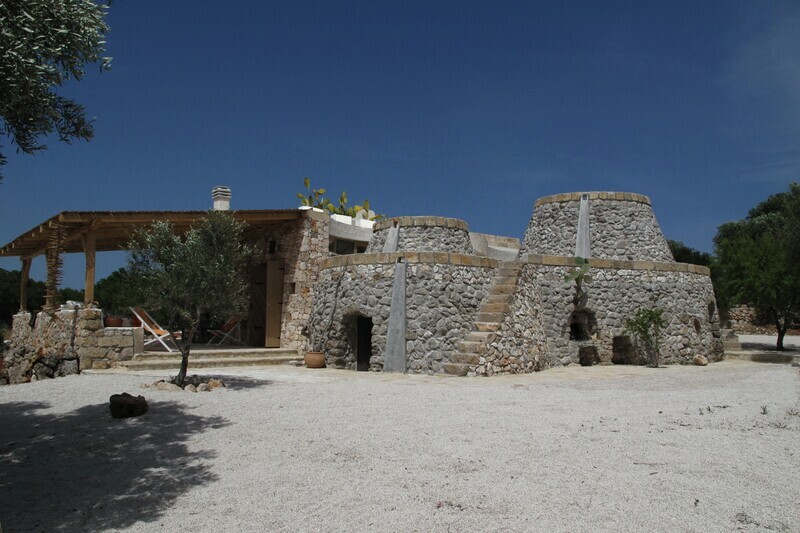 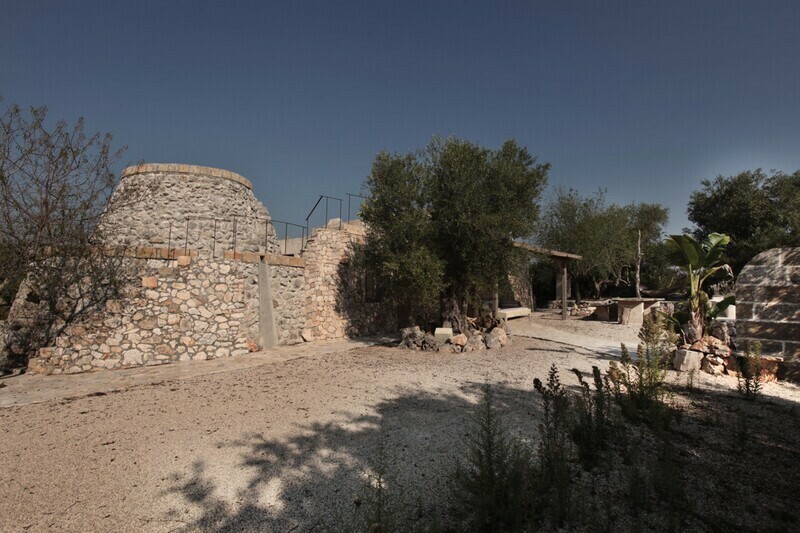 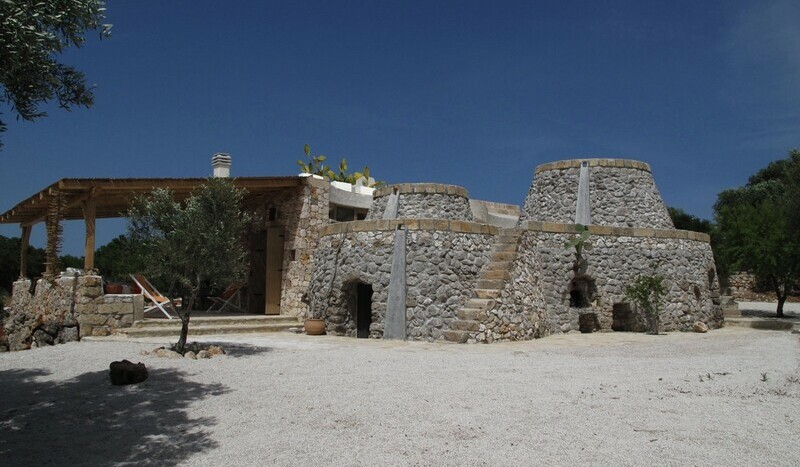 The whole peninsula is also studded with the typical “pagliare” conical houses, often turned into holiday rentals, from where guests can enjoy the marvelous show of the sun rising from the Adriatic Sea and setting on the Ionian Sea. 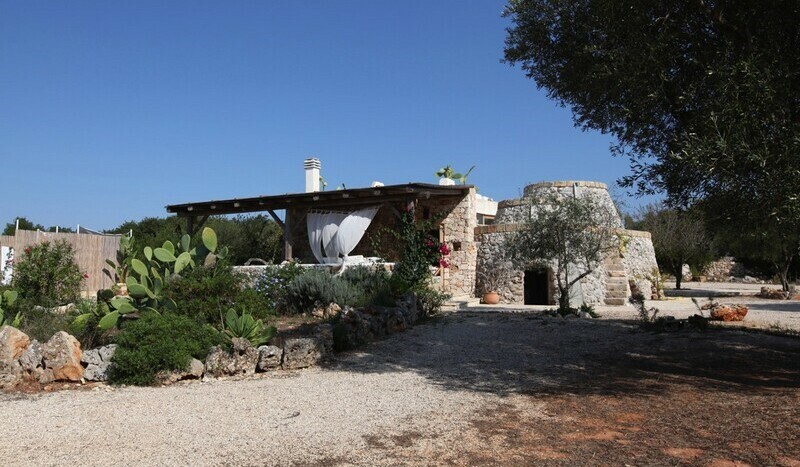 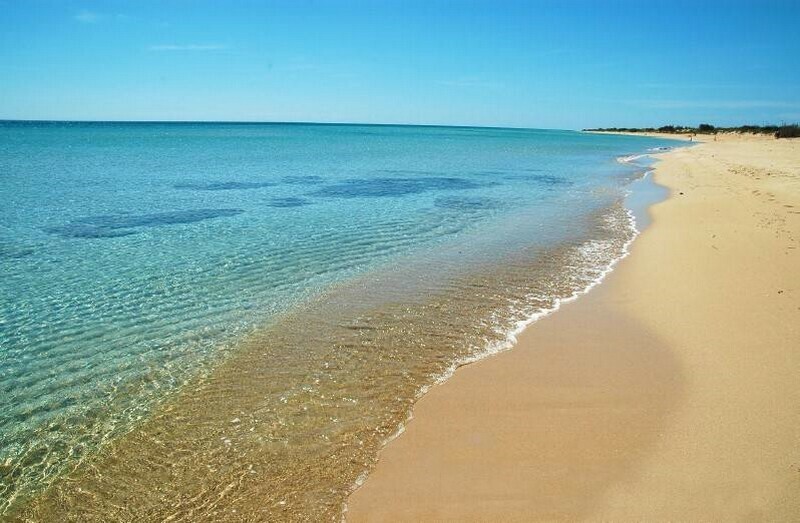 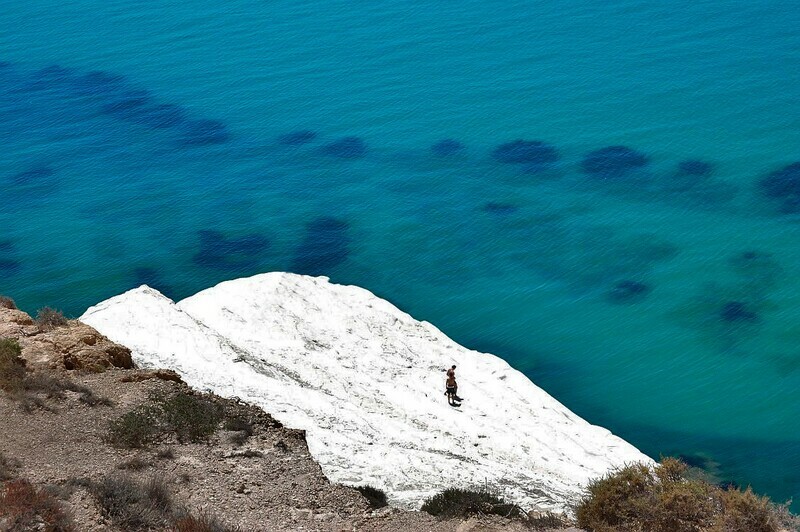 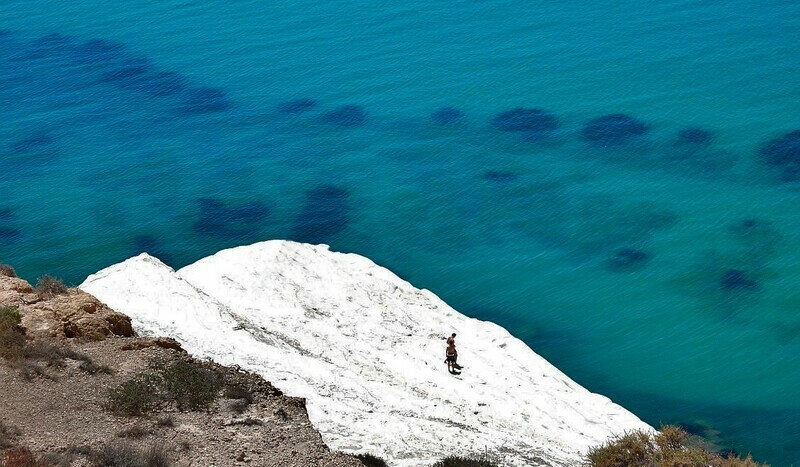 There is really a lot to discover in this enchanting area of Puglia: from Otranto with its rocky coast hiding beautiful caves, to Leuca and the stunning white beaches of the Ionian shore, and from the stunning historic centre of Gallipoli to the charming oasis of Porto Selvaggio. 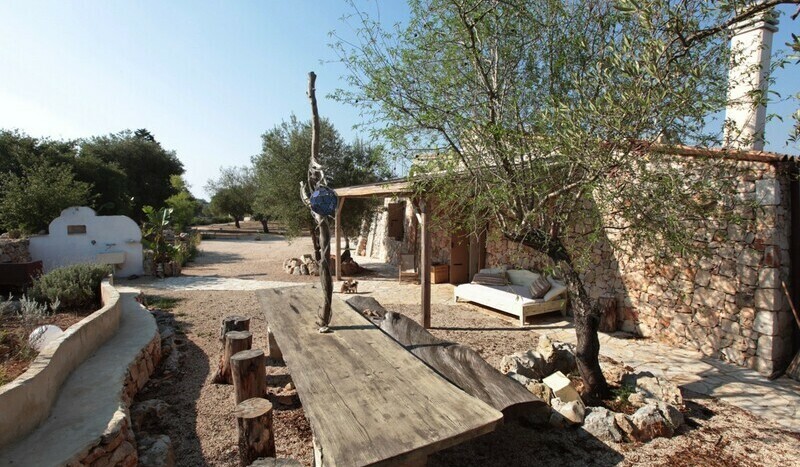 And then there is Lecce, the capital of the typical Baroque of the region: art lovers will be happy to know that there is plenty to discover both in its extraordinary historic centre and within the little towns of the countryside. 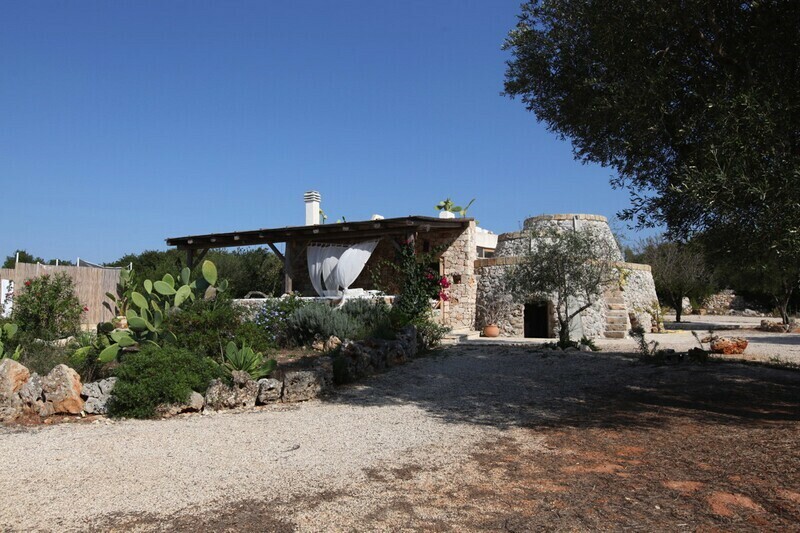 A holiday in Salento also means gourmet experiences: do not forget to taste the typical local delicacies, Mediterranean cuisine with fresh ingredients such as home-made bread, plenty of seafood recipes and pasta dishes, as well as pastry and sweets with a hint of Oriental flavor. 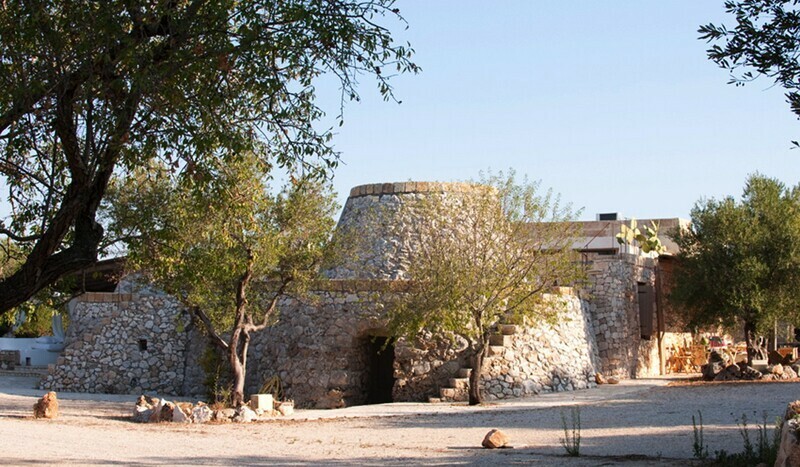 Moreover, the great tradition of music will surely surprise you: Taranta and Pizzica dances both have deep ancient roots on this area, and summer nights are often warmly animated by dancers on the main squares of all the towns, with Taranta festivals and great artists performing great music, as well as fireworks: get ready for dancing all night long! 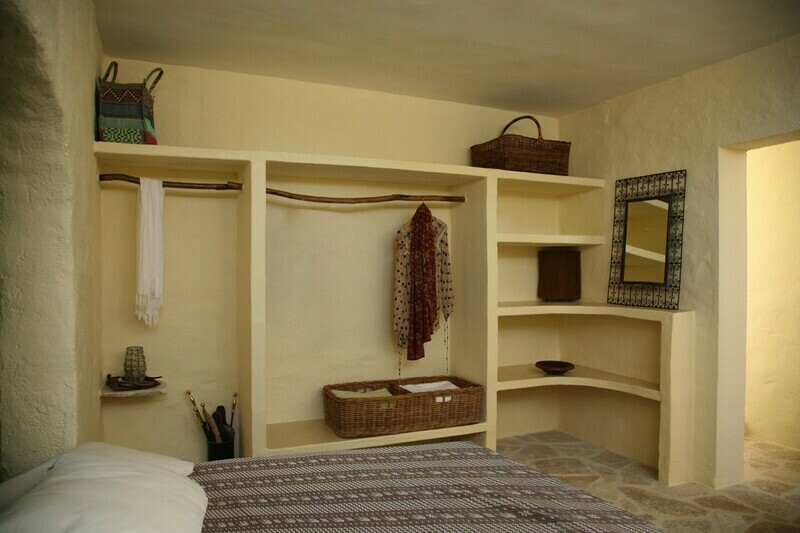 Bed linen and towels (weekly change included in the price), gas, water, electricity, intermediate cleaning (1 x weekly), final cleaning. 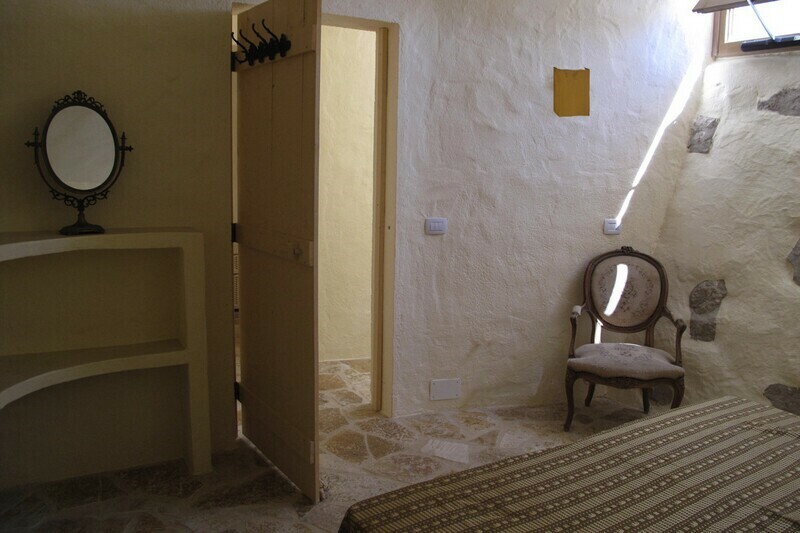 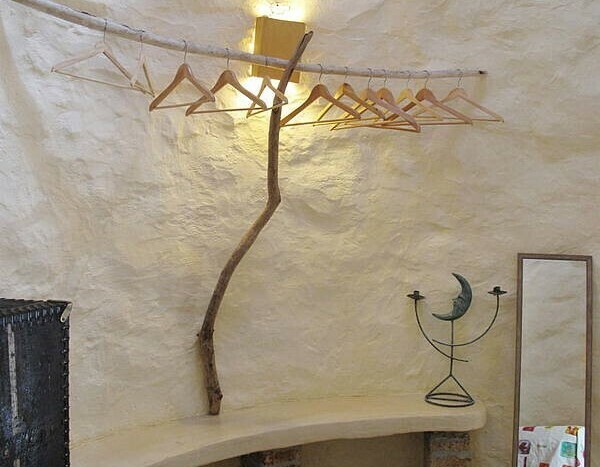 Two extra beds for an extra charge of € 20, / night and person possible (maximum occupancy 10 people). 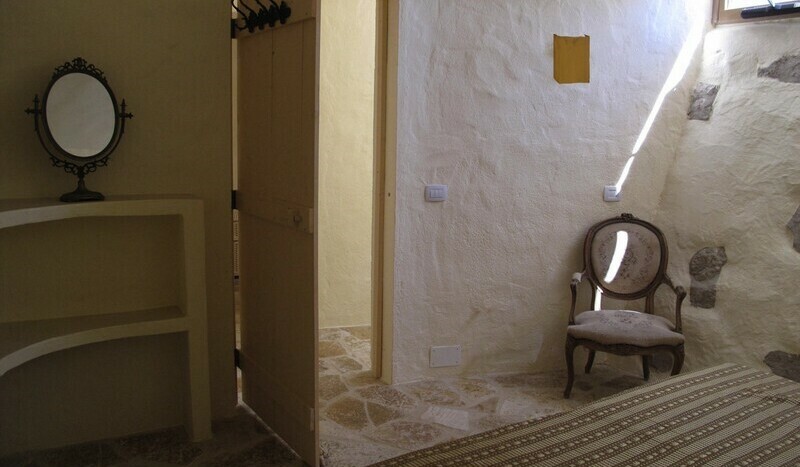 Address: The mosaics of Otranto, Gallipoli, Lecce baroque, sandy beaches Pescoluse, southernmost point of Santa Maria di Leuca.